Report from the Appalachian Regional Commission shows that 15 counties are considered economically distressed. A new economic report from the Appalachian Regional Commission shows that across Appalachia, communities are starting to rebound. But in West Virginia, that’s not the case. In the past year, there’s been a drop in the number of counties across the Appalachian region that are considered economically distressed. That’s the best economic report the region has seen in a decade. These statistics are based on unemployment numbers and low-income levels. In West Virginia, 15 counties are considered economically distressed—that’s an increase from last year, as Summers, Fayette, and Wetzel counties have been added to the list. 21 counties in Alabama, Georgia, Mississippi, North Carolina, Ohio, Pennsylvania, and Tennessee experienced a positive shift in their economic status. 18 counties in Alabama, Georgia, Kentucky, Mississippi, Ohio, Virginia, and West Virginia have fallen, many of which are in the region’s prime coal-producing areas. Although poverty rates in both Appalachia and the nation dropped in the last year, Appalachia’s poverty rate continues to be higher than the rest of the country. What Can Bring Jobs To Coal Country? President Trump made coal jobs a core of his presidential campaign, repeatedly vowing to bring back "beautiful" coal despite the industry's decades-long decline. And in pockets of the U.S. during Trump's first year in office, it may well have felt like a turnaround was underway. 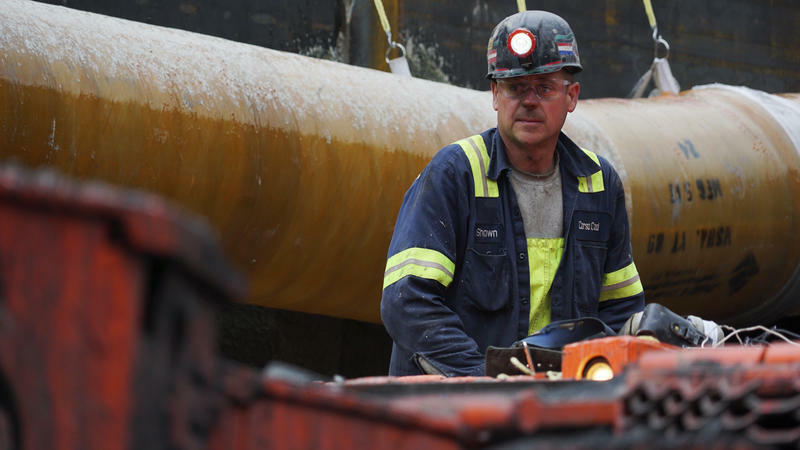 A review of data from the Mine Safety and Health Administration shows 1,001 more U.S. coal jobs last year compared with 2016, although energy analysts say the reasons are short term and have nothing to do with White House policies. This story is part of a series on coal country by NPR's Embedded podcast. Episode audio is below. On May 5, 2016, Donald Trump led a campaign rally in Charleston, W.Va. He put on a hard hat and pretended he was shoveling coal. The crowd loved it.